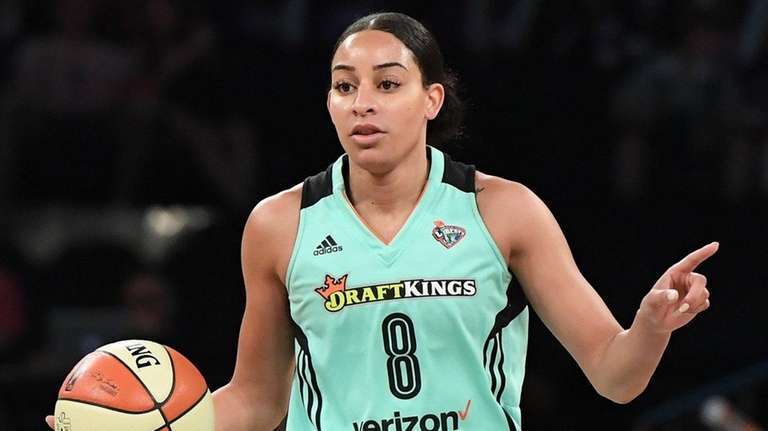 Former North Babylon High School and University of Connecticut star Bria Hartley has re-signed with the Liberty, the team announced Friday afternoon. Hartley, a restricted free agent, will return for her second season with the Liberty. The Liberty also announced the re-signing of unrestricted free agent Kia Vaughn, who is from the Bronx and played for Rutgers. Hartley and Vaughn were acquired by the Liberty from the Washington Mystics in January 2017. Hartley had a slow start in her first season with the Liberty but played well during the second half of the season. She averaged 10.8 points per game and scored in double figures 12 times in the final 17 games. She averaged 7.8 points, 2.1 rebounds and 2.1 assists, made a career-best 37 three-pointers and shot 34.5 percent from three-point range. The Liberty also announced the re-signing of reserves Rebecca Allen, a wing player, and Lindsay Allen, a point guard.